Welcome home! This immaculate 4 bedroom, 2 bath property has been lovingly cared for and updated by its original proud owners. Notice the high ceiling with modern lighting in the entryway. Up a few steps is the living room with genuine hardwood floors and a distinctive wall of built-in bookcases. The Updated and expanded Kitchen with Stainless Steel Appliances, Corian countertops, and track lights is sure to delight the chefs in your family. The oversized dining area offers a convenient Corian shelf, recessed lighting, and French Doors leading outside to a Sunroom and wood deck. So easy to entertain! 3 bedrooms each have gleaming hardwood floors and generous closet space. Remodeled master bath boasts comfort-height vanity, wood-look vinyl plank floors, and a frameless glass shower with decorative beadboard and seating. The hall bath has upgraded maple vanity, tub/shower and a large linen closet. On the lower level is the generously sized family room, a charming cast iron Wood Stove has original Brickwork and Exposed overhead Beams that add warmth to this delightful gathering space. This room exits to the yard. Also on this floor you'll find one the 4th bedroom, newer half bath, and a large laundry room with plenty of storage and workbench. The extended heated garage offers remote door opener, windows, shelving, and exit to the yard. Also worth mentioning: economical Gas Heat and cooking, Fenced Yard with 2 sheds and garden, Patio with footers, an Extended Driveway with electric service for an RV, and replaced siding (2006) and roof (2006) with a 40-year warranty. 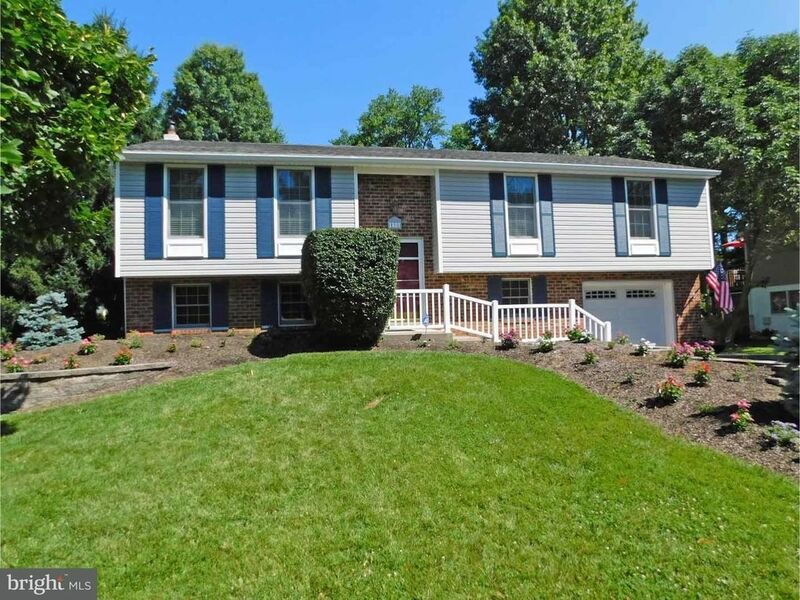 Award-Winning Neshaminy School District and 1 Year Buyer Home Warranty. This home has it all! See you at the closing table!